It just requires twenty-four hours for the plaque which is not removed from your teeth to make into calculus (tartar)! Routine home cleaning assists in controlling plaque and tartar development, but those difficult to reach locations will usually require additional attention. 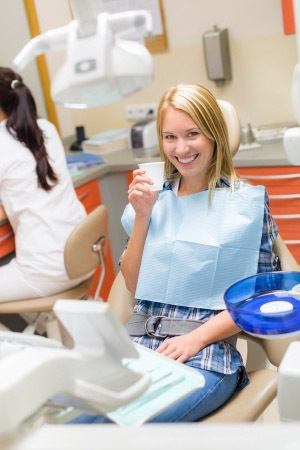 As soon as your periodontal therapy is finished, your dental practitioner and dental care hygienist will suggest that you receive regular maintenance cleanings (periodontal cleanings), generally four times per year. At these cleaning appointments, the pocket depths would be very carefully inspected to make sure that these are healthy. Plaque and calculus that is hard for you to remove every day will be removed from above and below the gum line. • Assessment of diagnostic x-rays (radiographs): important for recognition of decay, tumors, cysts, and bone tissue loss. X-rays additionally help figure out tooth and root position. • Examination of present restorations: inspect existing fillings, crowns, etc. • Assessment of enamel decay: examine all enamel areas for decay. • Oral cancer assessment: check out the face, throat, mouth, tongue, neck, cheek areas, and gum tissue for almost any indications of oral cancer. • Teeth polishing: eliminate stain and plaque which is not usually eliminated during tooth cleaning and scaling. Great dental health methods and periodontal cleanings are important in keeping oral health and keeping periodontal conditions under control!